This time I have decided to review one particular Lego set that I bought recently. 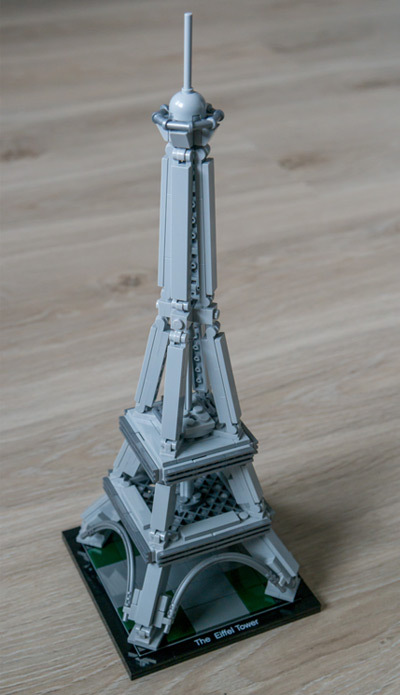 I quite like the Lego’s Architecture category and particularly the 21019 Eiffel Tower set is my favorite one. I really like the Eiffel Tower, so I decided to buy this set. If you don’t mind, I will mention some historical facts about the Eiffel Tower first. It is a famous structure located on the Champ de Mars in the France’s capital city, Paris. It’s named after the engineer, Gustave Eiffel. This engineer’s company designed the tower and built it. Actually, it was the entrance to the 1889 World’s Fair Exposition (Exposition Universelle) that marked 100 years from the French Revolution. Since then the tower has become an iconic symbol of both France and Paris. It is also one of the most recognizable structures in the world. 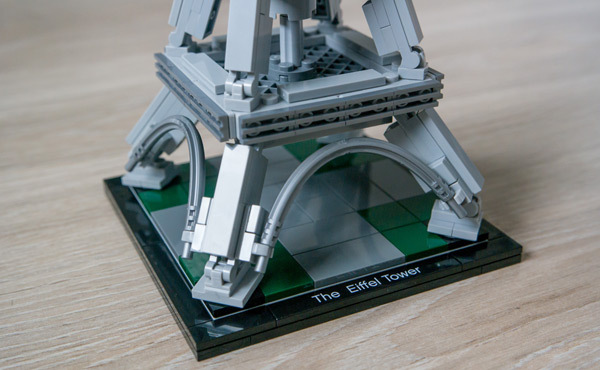 This Lego set was released in 2014 as part of the Lego series called Lego Architecture. It contains 321 pieces and most of them are of the gray color. It is recommended for the kids of the age 12 or older. The dimensions of the finished model are 12 x 4 x 4 inches (31 x 11 x 11 cm). 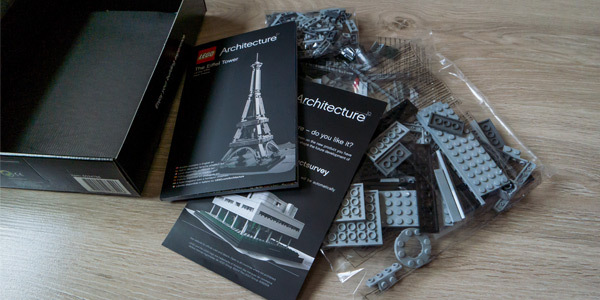 The set comes with the Eiffel Tower booklet in which you will find some historical facts about the Eiffel Tower and the building instructions, too. In my opinion, the final model represents the real tower very well. It really looks like a small model of the real Eiffel Tower. It took me one hour to build it. 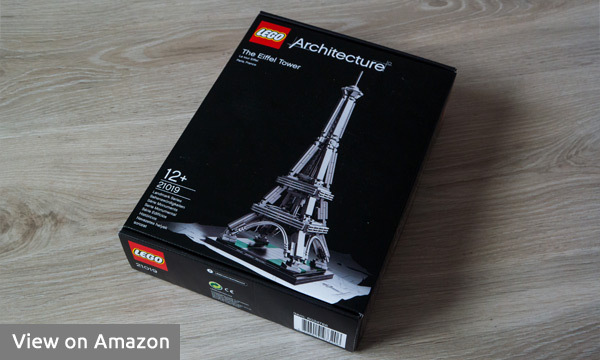 If you are a fan of architecture or just like the Eiffel Tower, like I do, you should get yourself (or your kids) a small gift by purchasing this set. Finally, I’d like to thank my brother Lukas for taking the photos of this set for me. BricksEasy.com is a participant in the Amazon Services LLC Associates Program, an affiliate advertising program designed to provide a means for sites to earn advertising fees by advertising and linking to amazon.com. This website is not owned by the LEGO group.